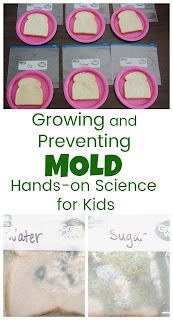 MOLD.....I think for most of us, mold is something we would rather avoid. Who among us hasn't thrown you a storage container from the back of the fridge filled with what used to be leftovers all because of mold? I know I can't be the only one! So why in the world would I want to grow mold? 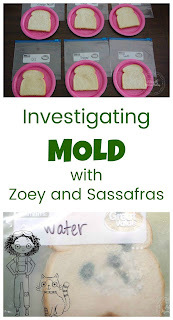 Well, that scientist in me can't just read about mold and not craft an experiment about it, so after we read the fabulous Zoey and Sassafras: Monsters and Mold, we had to investigate. 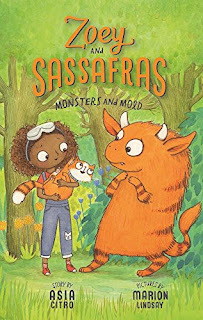 Like the first Zoey and Sassafras book, Monsters and Mold is filled with lovable characters and science! Seriously, two of my favorite things. This time Zoey has to help a Monster with a mold problem. She thinks of many things that can be used as preservatives to prevent mold. We wanted to see how well these really worked! 1. Start by preparing your supplies. 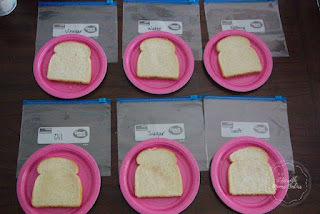 You need one bag per piece of bread, so we used a plain piece of bread, a bread with water added, one with vinegar, one with salt, one with sugar, and one with oil. That meant we needed 6 bags, all labeled. 2. Next we added 2 tablespoons of our selected preventative to the slices of bread. 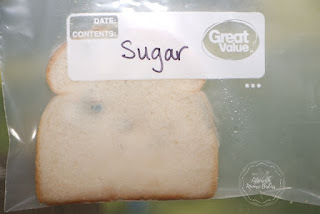 For the salt and sugar we dissolved 2 teaspoons in 2 tablespoons of water and added that to the bread. 3. 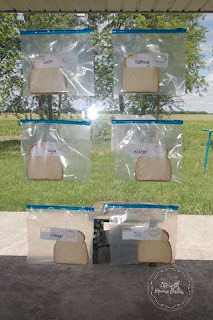 Then we took each slice of bread and placed it in the appropriate bag. 4. Location is key for this experiment to work. 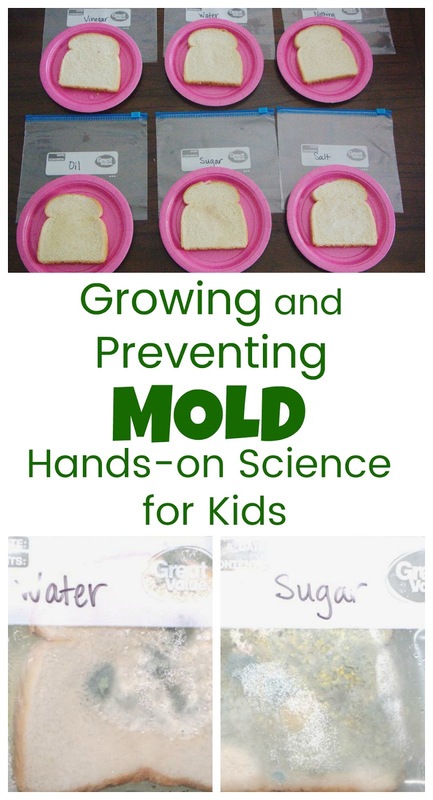 It has to be warm or your mold will grow very slowly if it grows. We went with our large window where the afternoon sun shines in. My second choice would have been a warm, interior closet. 5. Tape baggies of bread in your selected location, so they will all have a similar exposure to the heat. 6. Watch daily and document any growth. You could use these Zoey and Sassafras themed science pages to do it too! It took about a week before we got any mold growth, but it was no surprise where we first found it....the bag of bread with just water added. We know mold likes warm, damp locations, so adding the water definitely encouraged the mold growth. 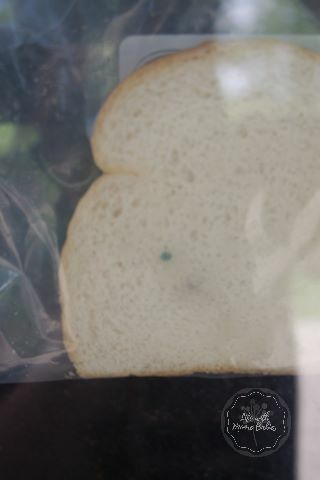 A few days later we had some mold on the bread that had the sugar mixture. 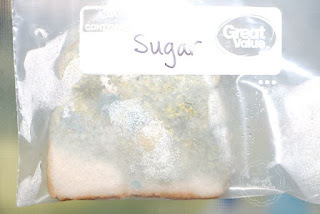 While sugar is used to inhibit mold growth in some refrigerated items, at warmer temperatures it isn't nearly as effective. In fact, once the mold started on the sugar bread, it basically exploded. The sugar was feeding the mold, and it grew at a very rapid rate. We even got different types of mold! 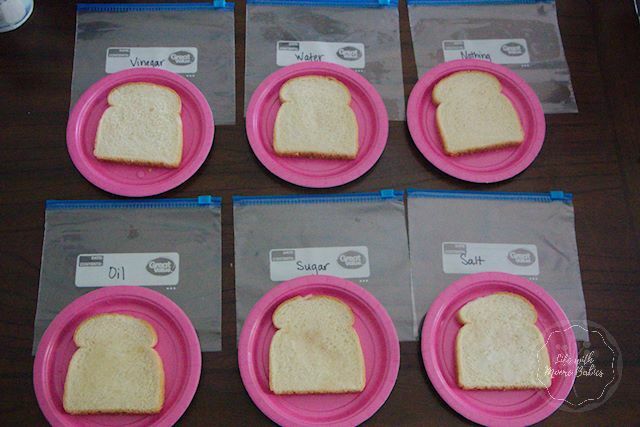 Our original plan was to wait until our plain bread molded, but we gave up after 3 weeks. At that point only the water and sugar bread had mold, but my sensitive nose was starting to smell the mold, so we decided we were done. 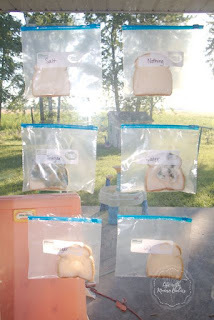 Why didn't the plain bread grow mold? Well, eventually it may have, but it was really just too dry. So being dry is actually a way to help inhibit mold growth too. 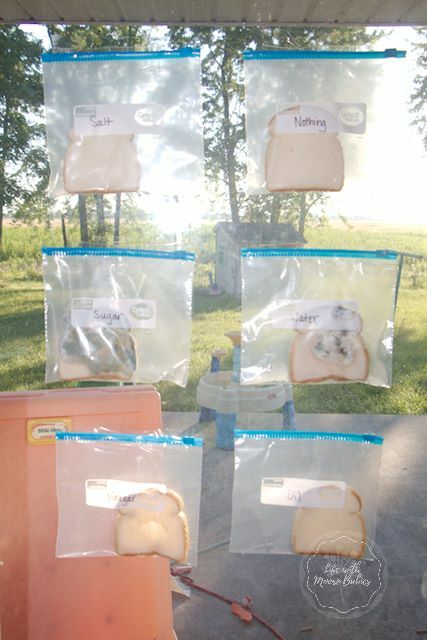 The salt mixture, oil, and vinegar all made it the entire 3 weeks without a hint of mold as well! ***Please Do NOT open the bags of moldy bread! Once the experiment has finished just throw them out without opening! The kids loved growing their mold, almost as much as they love Zoey and Sassafras! 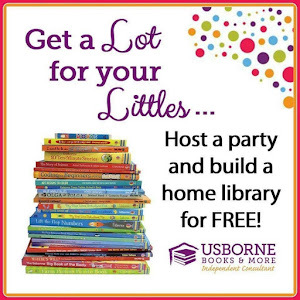 We can't wait to read the next book; too bad they can't prevent the moldy leftovers! 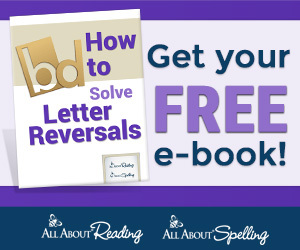 Be sure to check out the whole series for more science and fantasy fun!